Any of you who’ve been reading this blog for a while or know me otherwise have heard me talk countless times about how vitally important the path of vulnerability has been for me. I’ve been walking this path for sixteen years now, about as long as I’ve been using and sharing Nonviolent Communication in the world. The vulnerability path has been the occasion for profound liberation for me and I can say without exaggeration that it is the foundation on which I continue to do all of my learning about being human, about leadership, about power, about interdependence, and even about social change. So it has been a great treat for me to discover a fellow traveler. Some time ago, I watched Brené Brown’s first TED talk, The Power of Vulnerability, and was astonished and delighted by the content. This past Sunday I watched her recent talk, Listening to Shame. I was spellbound. First, I found the content captivating, because it is so aligned with my own experience and what I teach. My most favorite quote is that “vulnerability is the most accurate measure of courage,” which fits entirely with my own efforts to re-frame vulnerability from an expression of weakness to a source of strength. I was also completely taken, again, by her personality and presentation style, which I found engaging, warm, and entertaining, even as she spoke of sensitive and painful subjects. This would likely have turned into a lovely and satisfying experience I would never think to tell anyone about, except that I also focused on trying to learn what it was that she is doing that results in attracting millions to what I experience as fundamentally the same message I put out and get only a few hundred people at best. This question, in one form or another, has been a secret pain of mine for some years. In part because I consistently get astonishing feedback from some people, I continue to believe that I have some unique gifts to offer, and continue to suffer, from time to time, about my inability to reach more people. Writing about all this is its own form of vulnerability, every step of the way. Naming, publicly, that I believe I have gifts conjured up the fear of ridicule. As Brené Brown says, one key piece of shame so many of us carry is “Who do you think you are?” Owning that I have a big desire to reach many more people also feels vulnerable. Why would I want to? Most of us, the extremely vast majority of us, aren’t known by anyone except our small circle of family, friends, and acquaintances. Why would I care? Telling everyone that I think about this, that I compare and wonder, carries its own complexity. It bespeaks non-acceptance of where I am. I fear people will expect me to be more grateful for the immense privilege that my life has been anyway, even if my sphere of influence is smaller than I would like. With all of this, what prompted me to write about this anyway is that I think I got a partial answer to my question about the source of Brené Brown’s effectiveness and my lack thereof. 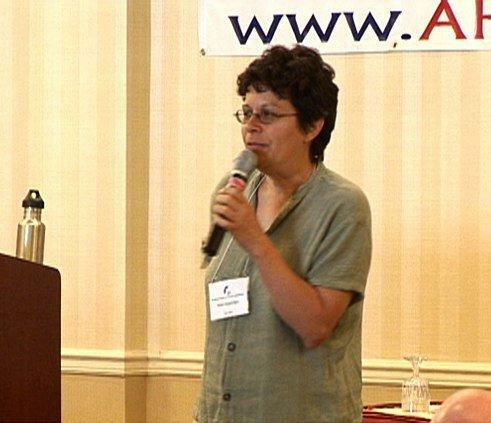 As I was listening to her, I saw the immense effect that my deep and core issues about feeling so different and alone in the world have had on my efficacy as a speaker and teacher. When she speaks, the subtext I pick up is “Of course you will understand what I say, because we’re all alike.” She continually gestures to and invites identification, continuity, familiarity. I see how it can be so inviting and comfortable to follow her as a result. She can be a bridge into a new way of being. I can see someone watching her and being inspired to emulate her, because it will seem like a real possibility. When I speak, on the other hand, the subtext I usually convey is “Of course you won’t understand, won’t get it, and certainly won’t take any action on this, because we are so different from each other.” I set myself apart. I know this from within. People can then be impressed, they can respect and admire me, and still won’t see it as a concrete inspiration that will lead them to try out what I speak about. They are often also intimidated, perhaps because they feel the separation I live in. I can so easily see, now, how much my tendency to focus on differences and to separate from others compromises my power and effectiveness. I’ve yet to know what to do to make change. This orientation toward the world is so fundamental to my sense of self that someone referred to it recently as the DNA of my soul. I can barely even imagine wanting to create this change. I only know I want to understand more. This insight is also related to one of the reasons why being different may appear so attractive to me. In a roundabout way, it’s my insurance policy that I will remain true to myself. Anyone who has been trained well to be “nice” knows how extraordinarily challenging it can be to reclaim full authenticity when that path may signify loss of majority approval. No small task for a social animal like us. Since I am different, so the logic goes, and people won’t receive me, understand me, or like me anyway, I have nothing to lose by being authentic. What I am trying to learn is how to integrate a fresh insight that is entirely radical for my system to contemplate. Simply put, being different need not be the occasion for separation. I can be different and still be connected. I don’t have to compromise, hold back, censor, or change myself in order to belong. No matter how different I am from anyone I may encounter, we have more in common than not. If nothing else, we all share the same set of basic human needs. Just how different could we be, then? And so I am putting at the forefront of my awareness and intention a practice I had (conveniently?) forgotten about. Whenever I notice that I am dwelling on how different I am from someone, I enumerate to myself silently three non-obvious ways in which we are similar. Ironically, I find it extremely easy, even satisfying, to do that once I get over the forgetting. I do feel more connected when I remember. Might my brain re-wire itself into noticing and leaning on similarity instead of difference when I interact with people, especially when I teach? I did re-wire my brain through a year of gratitude practice. What awaits me here? All of this has been quite intense to digest. Perhaps writing this and the feedback I might receive here and elsewhere (including my yearlong teleclass based on this blog) will provide enzymes to speed up the digestion. Then, perhaps, this insight will indeed turn into a new opening, a way to break through decades of suffering. And if I am really lucky, this may indeed change how I teach, so I can be more inviting, humble, and accessible. May it be so. This entry was posted in Authenticity with Care and tagged Brene Brown, shame, vulnerability on April 26 / 2012 by Miki. I love your idea of enumerating 3 way I'm similar to someone, rather than different, and I'm hoping I can remember to do that at the time! Funny how our brains just conveniently forget such ideas! I'm in AA, and as you mention, I love the phrase "terminal uniqueness". We often remind newcomers to looks for the similarities, not the differences. Feeling very moved by your sharing this and thrilled at the prospect of you increasing your sense of connection with others. I'm beaming you moral support as you explore this new path. Your deep looking into your inner life and the clarity with which you express what you are seeing deeply touches, inspires and excites me and brings me into deep resonance and connection with you. Thanks for your ongoing blog Miki. I so enjoy your general truthfulness. Celebrating the unfolding and openness. Inspired by your jumping off an 'inward' precipice. dear Miki-two "appearances" occur to me even as i take in the written and visual forms of this article. 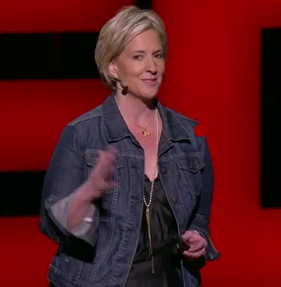 one is that Brene Brown looks happy, and turned on by her process, and you look concerned and not happy. She looks like a beautiful blond chandelier, and you are earnest, but not yet exploding with light.not a criticism….simply, from my pov,a recognition. Reading this gave me such an ache in my heart. You have so much courage and wisdom! I am realizing that is perhaps a shared lack of sameness that I sense in you that helps me to hear you in a way that is profound. The ache is not only empathy for your pain, but also a very deep appreciation for your sharing. Perhaps if Brene Brown is doing something successfully than you are, this might be an area for you to learn from her. You might want to consider attending one of her events, or contacting her personally. Instead of you always being the teacher/mentor of others, this might be a place for you to be the student and her to be the teacher/mentor for you. Years ago, during a massage of my tight chest area, a very insightful therapist was moved to give me a message: There is great power in vulnerability. My journey into this truth continues. Some of my recent insights are, perhaps, similar. I noticed that my intention to love you, to show my love, through sharing with you – "teaching" you – didn't work. In terms of getting over the sense of separation, I do find that loving-kindness (metta) meditation helps me. But it only works so far. It does make me more outgoing and more willing to introduce myself to a stranger rather than allow an opportunity for connection to pass by.